Once again, abortion advocates are shocked and outraged that people expect to hold Planned Parenthood accountable for its actions. 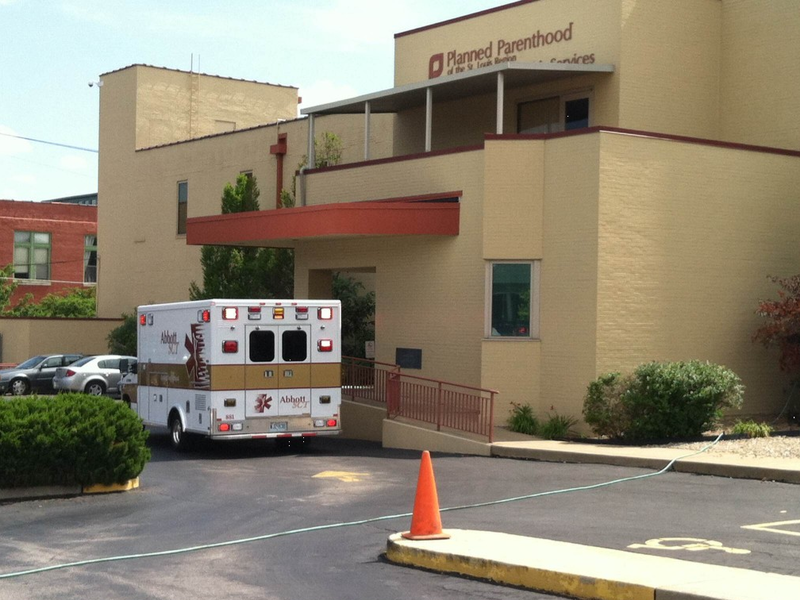 As Live Action covered in February, Planned Parenthood of the St. Louis Region and Southwest Missouri CEO Mary Kogut has been stonewalling efforts to obtain documents that would shed light on an epidemic of health and safety violations on her watch, including no less than thirty ambulances called to Planned Parenthood of St. Louis between 2009 and 2015—even though patient identities were redacted in those subpoenas. Among the requested documents are all consent forms signed by patients as part of receiving abortion care or prior to being administered anesthesia since 2010. As the clinic is the only remaining abortion provider in the state, this would effectively give lawmakers the names of the bulk of the women in Missouri who’ve received abortions in recent years, other than a small number of procedures performed at hospitals. Crucially, the committee’s document request makes no specifications about what would happen with the information after it is turned over, so there is no guarantee that the information could not be turned over to the public. Planned Parenthood’s lawyers contend that the committee lacks the authority to subpoena the documents — many of which contain information protected by the Health Insurance Portability and Accountability Act (HIPAA) — and that turning them would be a breach of doctor-patient confidentiality and federal privacy laws. ThinkProgress’s image of Kogut as an above-board defender of patient privacy against a sinister anti-abortion witch-hunt fails in light of the facts. There is a big discrepancy on what’s being done with the fetal tissue once it has been sent to the pathologist. We were not asking for patient information. All we are asking for are answers so we can ensure that medical standards are being upheld, women’s health is being protected, and public safety remains the highest quality possible. That should be the first thing to keep in mind here: the reason consent forms are relevant to the investigation is because the Center for Medical Progress videos’ allegations against Planned Parenthood include StemExpress technician-turned-whistleblower Holly O’Donnell’s eyewitness testimony that she saw tissue taken from women who refused to sign consent forms. Other Planned Parenthood officials have admitted that even when they get permission to take the body parts of aborted children, they don’t ask permission to alter abortion procedures in the interest of getting those parts in better condition. To respond to an administrative request, such as an administrative subpoena or investigative demand or other written request from a law enforcement official. Because an administrative request may be made without judicial involvement, the Rule requires all administrative requests to include or be accompanied by a written statement that the information requested is relevant and material, specific and limited in scope, and de-identified information cannot be used (45 CFR 164.512(f)(1)(ii)(C)). Have no fear—Mary Kogut’s latest refusal surely has nothing whatsoever to do with covering up shady behavior and everything to do with being uncompromising sticklers for the letter of the law. You can take their word for it; would Planned Parenthood lie to you?